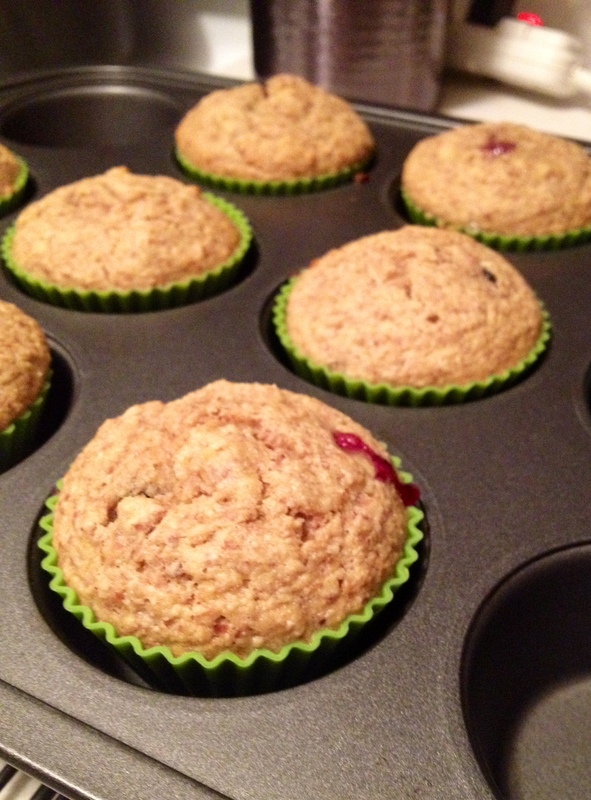 These quick and easy muffins are low in added sugar and are gluten-free (use GF oats). They make a great quick breakfast, dessert or snack. They are delicious “as is” or with toppings (i.e. peanut, almond or cashew butter, a drizzle of honey, fruit preserve, butter, etc. ), served warm or chilled. I sometimes substitute dark chocolate chips for the blueberries. Recipe makes 8 muffins. Preheat oven to 350 degrees. Line muffin sheet with 8 cupcake liners (I used silicone cups). Mix all liquid ingredients, including mashed banana. Mix all dry ingredients separately. Combine wet and dry ingredients, and then gently fold in blueberries. Cool 5 minutes in pan, then remove muffins from pan and cool completely on cooling rack. If using silicone liners, wait until muffins are completely cooled before removing from liners. Store muffins in covered container, but crack the lid open slightly to avoid excess moisture buildup.